Our low cost carbonless NCR form printing company in Long Island, New York produces various types of custom carbonless form printing for your small business or large well running corporation. 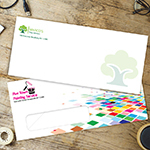 NCR receipt printing company offers edge glued NCR form printing. Whether its a restaurant or a repair shop. NCR forms are widely used by manufacturing companies and small scale businesses. We offer 8.5x5.5" NCR forms for medical office and for other various businesses. Our printing company provide 4 digit numbering NCR form printing for reference purposes or we print 2 or 3 parts invoice form according to your demand. The front is printed in the 4 color process as in 4/4 printing but the back remain blank with no color. 2/0 PMS color means the front side of the NCR Forms will be printed with black ink and one PMS color. We provide standard 17# paper NCR Forms with your own choice of 2, 3 & 4 parts of carbonless forms. Our carbonless paper is guaranteed highest quality. This is the standard and least expensive, the edge glued form is quick and easy. Commonly used as receipts or for quote sheets. A step up from the standard edge glued form, a snap set can keep parts together and allows for parts to be easily "snapped" off via a micro perforation at the stub. This is basically a Snap Set in book form. It is specifically designed to keep copies protected for extended periods of time. Police use these to write tickets and also used for commercial vehicle inspection reports. A perforation is a small hole on the NCR Forms. Perforations are usually used to allow easy separation of more than 2 sections of the material, such as allowing paper to be torn easily along the line. 4 digits numbering on the right side of the forms is best way to keep organized, easy to maintain the records and follow up. NCR forms have a myriad of uses with some of the most common being invoices, statements, purchase orders, contracts, work orders, applications, and receipts where multiple copies are needed for customers, sales people, accounting, agents, mechanics, workers, etc. Professional NCR forms are great for closing contracts with customers or keeping files on customers' orders and recipes. NCR forms can keep you organized and informed on peoples order or contract at anytime. With these forms you can also have the customer's information so you can contact them at anytime and they can contact you at anytime. They are several different things you can print on a form such as your phone number, logo, where your store is located, and reference number to indicate the numbers of customers orders. You can also write the customers, name, number, email, and address to help you locate them. Printing Xpert can create any type of binding for NCR forms you may like. For example, booklets, edge glued, snap set, or no binding. There are also different places where you can put perforation either on the top side, left side, or right side. Numbering is a big part of the NCR form, and if you want it to be 4 digits on the top right side, or anywhere else, you may have it. There are different number of parts of paper you can select from - for example, if you want 2 parts with 17# thickness, 3 parts with 17# thickness, or if you want 4 parts with 17# thickness paper, we can create it. Making NCR forms can be difficult, so leave that to us, so you can focus on your business. The standard size of NCR forms is 8.5" x 5.5", 8.5" x 11". 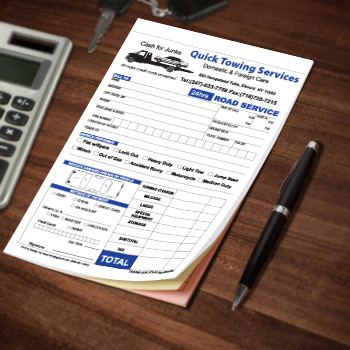 Online NCR form printing is what we offer to our customers with quick delivery. For our customers convenience, we have developed NCR templates in different versions. Create NCR form by adding your company logo and contact information, and we can print your custom forms in no time. 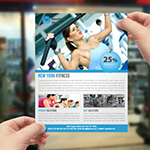 You can also design online brochure printing of your own choice. Our carbonless paper is guaranteed highest quality. Our online NCR printing company also offers our customers free online proof and free shipping of the ordered products. Ordering NCR carbonless forms online is easy with us. We immediately start the work once we receive your order. We are one of New York's fastest NCR printing company that fully works to achieve complete customer satisfaction. Carbonless forms have become the most integral part of your business sales cycle. Without them, you will not be able to organize your sales records. They provide an easy way to copy your documents without using the carbon paper. These forms come in stacks and in many different colors. Your NCR forms are also prepared and designed in a special way. They are designed by graphic design experts who use the special skills and techniques of graphic designing. 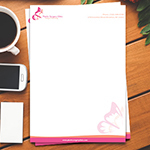 They create unbelievable and matchless designs after observing your business plan. Government and public departments are taking advantage of carbonless forms for book keeping, receipt maintenance and sales or purchase record keeping. The recorded data fields are easy to understand by the buyer and the seller. You can surely use your carbonless form printing for successful business deals. Demand of carbonless forms is increasing day by day because they are the most affordable and cost effective printed products. These forms are used in many departments like banking, finance, stock business, contracts, wholesales, service companies, inventory, tickets and education. 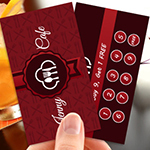 Our Printing company service to nationwide in all states Alabama AL, Alaska AK, Arizona AZ, color business cards Arkansas AR, California CA, Colorado CO, Connecticut CT, Delaware DE, Florida FL, Georgia GA, Hawaii HI, Idaho ID, Illinois IL, Indiana IN, Iowa IA, Kansas KS, Kentucky KY, Louisiana LA, Maine ME, Maryland MD, Massachusetts MA, Michigan MI, Minnesota MN, Mississippi MS, business card printer Missouri MO, Montana MT, Nebraska NE, Nevada NV, New Hampshire NH, New Jersey NJ, New Mexico NM, New York NY, North Carolina NC, North Dakota ND, Ohio OH, Oklahoma OK, Oregon OR, Pennsylvania PA, Rhode Island RI, South Carolina SC, South Dakota SD, Tennessee TN, Texas TX, Utah UT, Vermont VT, Virginia VA, Washington WA, West Virginia WV, Wisconsin WI and Wyoming WY. The NCR paper is good!! NCR Price is reasonable ! Can I choose my own PMS colors? Yes, when placing your order mention your PMS color(s). The options available here allow you to choose different types of bindery options available for this product. The most commonly used perforated side is the top side. That makes paper to pull off easily. Add numbering to your NCR Business Forms. The default numbering starts at 0001 in increments of 1. Placement determined by crop marks (Top Right edge). NCR Orders are more than 1,000 NCR Business Forms will be mechanically numbered after they are printed. Please note that ink is translucent, not opaque and that the background color will affect appearance of the numbering. For white ink, the numbering will be lighter than the background color but the results will not be a solid white. For Red and Blue inks, the background color in the numbered area should be lighter than the numbering. Product: NCR Forms, 8.5" X 5.5", 8.5" X 11"